VERY QUIET PART OF NANAIMO ST NEAR E 48TH AVE. 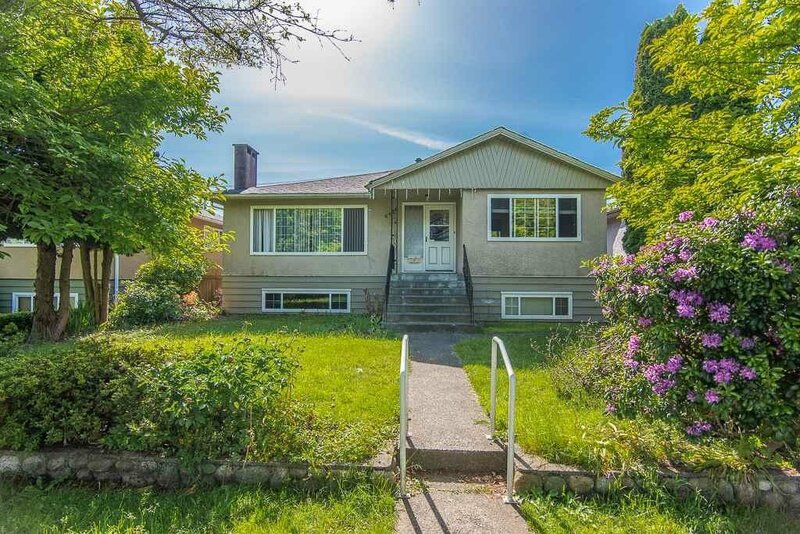 This Vancouver property locates in a extra wide level 45.6*119.94 lot with over 2,500 sq ft of cozy living space , and well kept by owner. A SOLIDLY BUILT and CHARMING BUNGALOW in GOOD CONDITION with suite potential. Main floor feature living room, dining room, kitchen, master bedroom & other two bedrooms. Basement features one living room, kitchen, and two bedrooms. Walking distance to shopping, and transit. School Catchment: Waverley Elementary & David Thompson Secondary.